State of Florida law states only an approved and regulated electric utility is allowed to sell electricity to the public. The 1988 court case, PW Ventures, Inc. v. Nichols, clarified this position. With Tesla’s SolarCity announcing that they’ll service customers of Duke Energy and the Orlando Utilities Commission in the greater Orlando area, they’ll have to abandon their ‘solar lease’ model in Florida – a state with no solar incentives. In this model, Tesla owns the solar power system and takes all incentives, then sells the homeowner discounted electricity in a 20-year contract. With a population greater than 20 million people, the third largest state is a ripe opportunity – and maybe a laboratory. If you’re considering solar, get a verbal quote via a customer assessment from multiple contractors at understandsolar.com. Tweet me if you’d like feedback on quote. 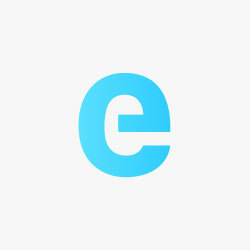 We receive a commission for this. The solar lease model allows a third party, neither the homeowner nor the local electrical utility, to own a solar power system and sell the electricity to the homeowner. This model has flourished in the United States, peaking in 2014 with 72% of all residential sales. The same report also shows that the leasing model is slowing – and it is predicted to be below 50% of all installs in 2017. 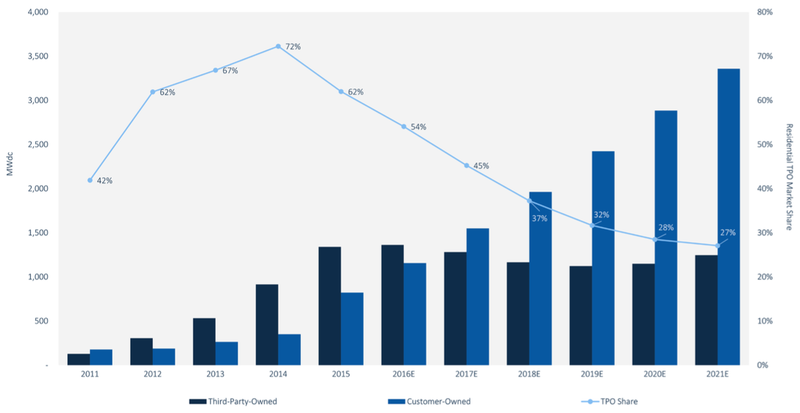 If the solar leasing model does go sideways – shrinking in total size from 2016 and on – there will be significant consternation at Tesla (34% of all leases), Vivint Solar (12%) and Sunrun (10%). 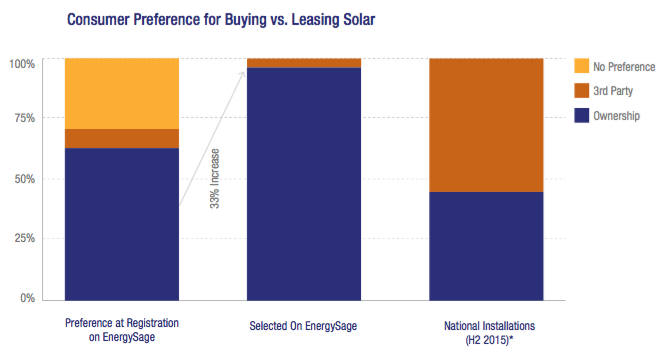 If the trends of a report put out by EnergySage, “Solar Marketplace Intel Report, Data from H2 2015 to H1 2016”, are to be believed then the lease companies ought be evolving models as fast as they can: 63% of EnergySage users preferred ownership to a loan – but a full 99% of who went on to buy, actually got a loan or paid cash versus a lease. These market forces are already happening and Tesla, being the largest player in this field, saw it. SolarCity CEO Lyndon Rive already announced that the company expects to reduce the number of leases while loans and cash purchases increase. Multiple loan products have been tested – with the MyPower program being canceled and a new, simplified program implemented. Tesla CEO Elon Musk also commented that SolarCity will continue this trend under Tesla. That might mean the Florida market is not an aberration, but actually the future. 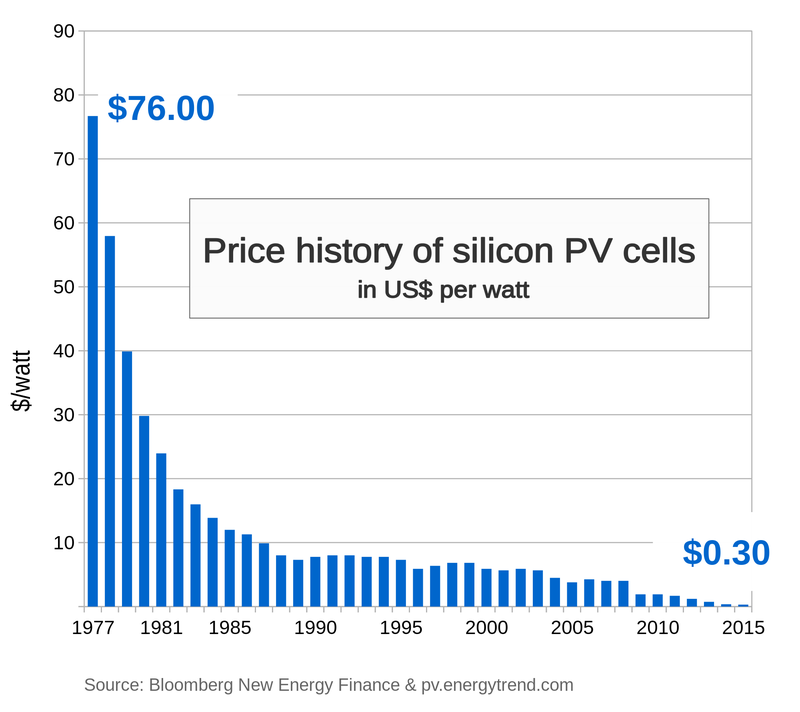 One of the main challenges of solar power is the large up front cost. As electricity consumers, we’ve come to expect low monthly bills from all of our centralized utility companies. It was always the job of the large investors to take on the risk of billions. Now solar power lets a consumer purchase 30 years of energy up front – but at a price. In 2008, a solar system that could bring a $150/month electricity bill to $0 cost $65,000. In came players like SolarCity – finance companies standing right behind solar installers, who said they would front the cash for the solar system if they could own the rights to your roof and sell you cheap, clean electricity. By 2015, third parties installed 1.4GW (about 200,000 systems) on residential homes. What has changed from the heady days of 2008-2014, the solar lease golden years, is that the $65,000 solar system of 2008 now costs $28,000 – a much more reasonable and accessible number for a large number of people in the USA. The result of this is beginning to show in the financials at Tesla – according to the 2016 3rd Quarter report, “Revenue from solar energy systems under long-term loan arrangements increased by $9.2 million, or 101%, for the three months ended September 30, 2016” and “Sales of solar energy systems and components increased by $37.8 million, or 192%, for the three months ended September 30, 2016, as compared to the three months ended September 30, 2015.” Departments growing at 100 and 200% get a lot of attention on Wall Street, even if during this time period Tesla deployed 189MW worth of solar power – about $576M worth. So just maybe, the Florida market announcement might represent a significant step taken by Tesla that represents the next phase of the residential solar power industry: large scale market adoption directly by homeowners due to the increasingly strong financials of solar power. If this is the case, then we are in for a lot of installations.